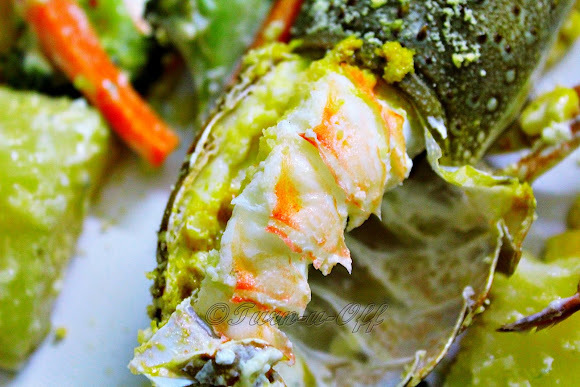 As a big fan of lobster, I was thrilled to find two baby lobsters in the fridge, which Ralph brought all the way from Mukah, Sarawak recently. 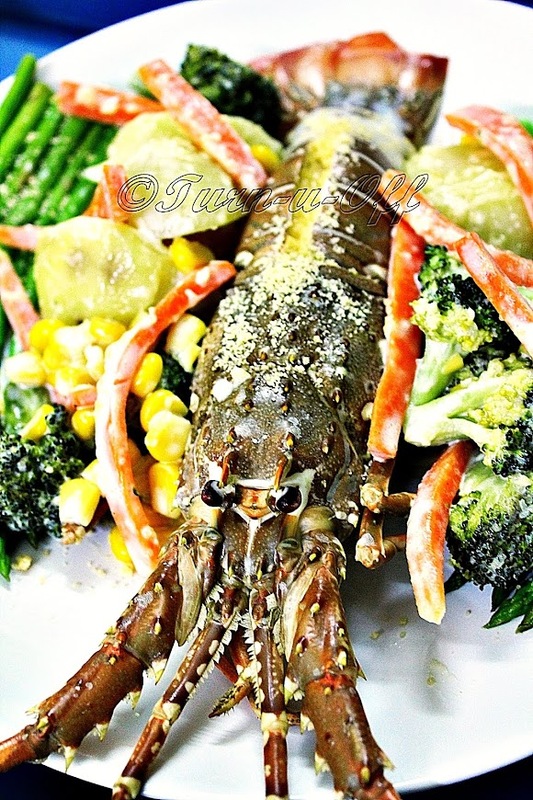 His favorite way to cook fresh lobsters is steaming because according to him, it's a quick and easy way to enjoy this tasty treat. You can, of course, boil or grill them. 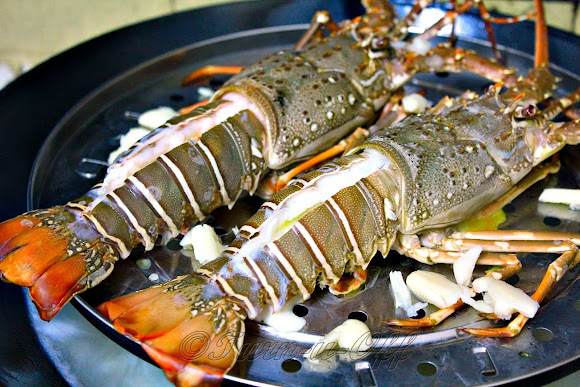 Sorry, I've no idea how to prepare the yummiest of steamed lobsters, hence no recipe and detailed instructions. 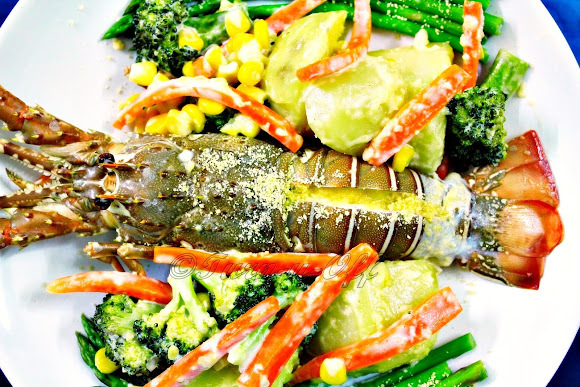 While waiting for the baby lobsters to cook, he prepared a large bowl of salad too. 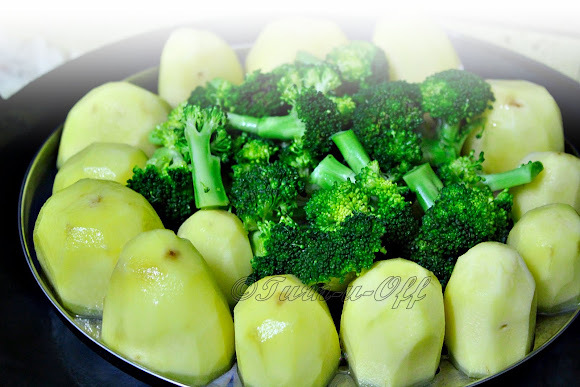 #4 Steamed vegetables and potatoes. 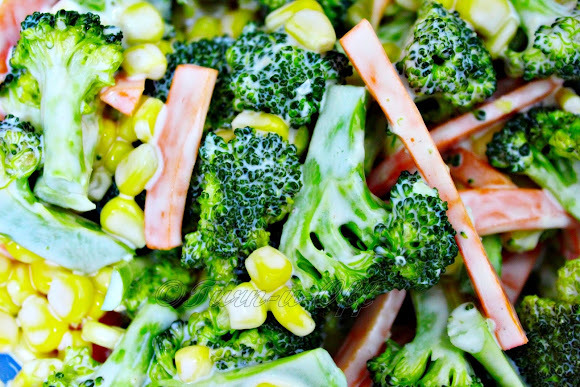 #5 The salad consisted of potatoes, broccolis, carrots, and sweet kernel corn, all topped with a dressing of mayonnaise, salad sauce, and seasonings. 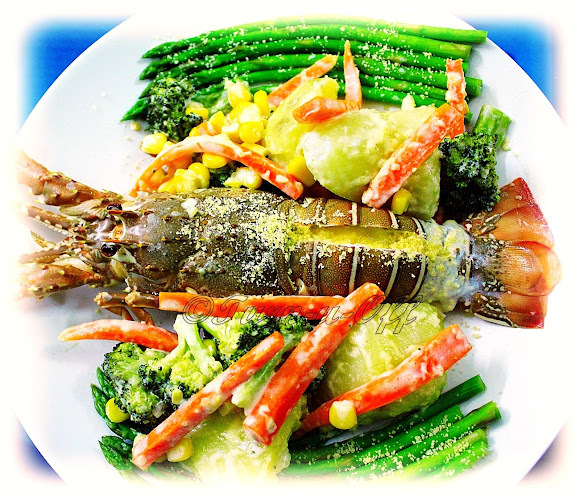 #6 My baby lobster sprinkled with Formaggio da Pasta cheese powder, served with salad and steamed asparagus on the side. It was lobster-licious and oh-so-very-satisfying, of course! #7 The meat was firm yet exceedingly tender, succulent and sweet. Good nytie Night owl... is this a scheduled post or you are still awake?? Ooohh yummmmyyy!! Lobsters are my faves!! :) Oh that Ralph sure know how to cook, huh? so when is the bbq party at your house again?? hahahahaahah I see so many cooking shows that I "think" i know how to cook lobsters, but "thinking" and "doing" are two totally different things. But I've seen my father cook it before and I hope I can do it. 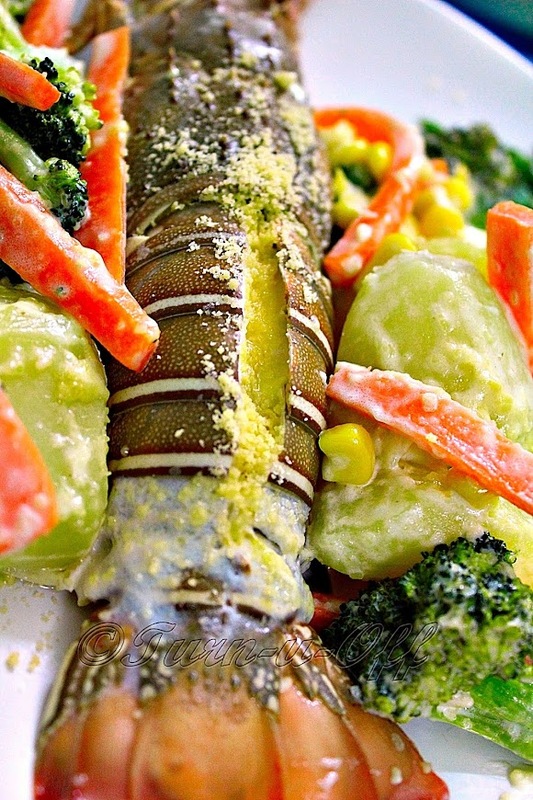 But jangan harap lah find any fresh lobsters here in KL! I love asparagus too. 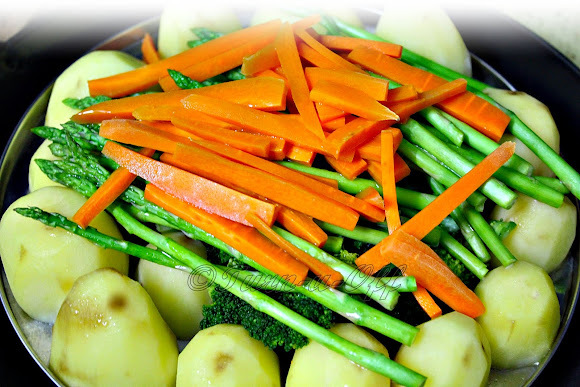 The salad looks delish! :) I'm so hungry nowwww!! LOL! Yummmyy! Oh wow.. that looks absolutely delish Mon.. Well done to R!! You are making me drool all the way here with your description dearie... OMG!! lol! OMG!! The lobster looks so yummy!!! I want!!!! The photos look like I could eat them right the blog post....hahahha! Great photos....so yummy food.